The scented version comes in sadalwood, but the scent isn’t really strong enough to cover the pheromone smell. 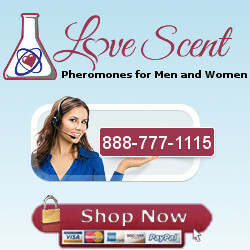 It is useful for using in combination with an appropriate cover scent or the product Pheros. The unscented version definitely needs covering. The pheromone smell has been compared to cat pee. Apply to neck/jaw line area, or spray to your chest. Cover the smell as necessary. Wear with a few dabs of WAGG, covered with cologne etc. The pheromone formulae of all of the “The Edge” variants are the same.Used more for sexual hits than anything else. Best used in clubs or parties or places with lots of female contact, especially where you expect girls to be on heat and on the prowl. Can cause aggression in men. Be carefully of a TE OD, but don’t be afraid to find your personal limit.Also available in an unscented version and the Edge Essentials varients.